Healthy skin, like a healthy gut, should have a diversity of microorganisms on it, according to a new study. What is more, those microorganisms are in constant dialogue with your immune system helping to regulate health. The human body contains many microbes. Some of these are necessary for healthy bodily functions such as digestion. Others may be pathogenic. Previous studies have revealed links between microbial communities no the skin and outbreaks of inflammatory diseases such as atopic dermatitis. 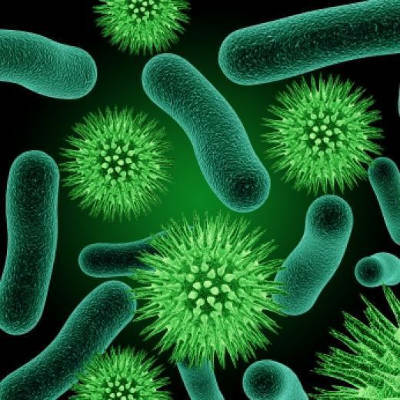 Other have shown how bacteria that normally live in the skin may help protect the body from infection and that microorganisms found in different tissues – skin, gut, lung – have unique roles at each site and that maintaining good health requires the presence of several different sets of friendly organisms working together in a symbiotic relationship. There is little known, however, if the immune system influences the types of microbes that live on the skin and thus potentially prevents disease. In a new study, published in the journal Genome Research, researchers studied a group of patients with reduced immune function as a result of rare genetic defects. Despite the diversity in disease-causing mutations in the patients, all the patients shared an eczema-like skin condition. Samples taken from the patients’ skin showed that they had types of bacteria and fungi on their skin that were not found on healthy people. This suggests that the immune system does influence the types of microbes that live on the skin, study co-senior author Heidi Kong, of the US National Cancer Institute.